TRACKS is always happy to welcome new volunteers to our awesome summer camps- and every year our helper count grows steadily! This year at our annual volunteer orientation we had a great turn out. We welcomed 20 people that came out to support the 2014 TRACKS summer program. At the start of the day, everyone at the orientation participated in a smudge, which is to clear the mind and body of negative energy and start the day off on a positive note. Next, all the new volunteers got to experience a welcome and amazing teaching from Dorothy Taylor of Curve Lake. Indigenous and non-Indigenous volunteers of all ages and from a variety of backgrounds learned about the medicines, and how the Creator made the earth. Dorothy also shared a beautiful song that she learned from her Elders. After lunch we had a fun afternoon playing people BINGO to get to know each other. Towards the end of the day we all went outside to and had to learn to work together by rebuilding the tipi at Trent. For the new volunteers that did not have a lot of experience building tipis, they are sure expert builders now. The day was filled with very fun activities and positive attitudes: not only did everyone have a good time and enjoy themselves, but all the new volunteers learned some new things about science, about Indigenous culture and also about the TRACKS camp. Everyone is excited to be at the camps for the next few weeks and we look forward to welcoming them! 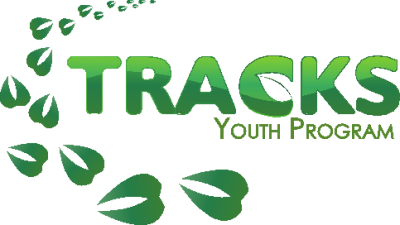 As well as assisting with camps and other programs, TRACKS volunteers have been helping out with administrative tasks, curriculum building, and outreach. We welcome new helpers and would love to see your smiling faces at our camp!